Hello again dear lovely reader! 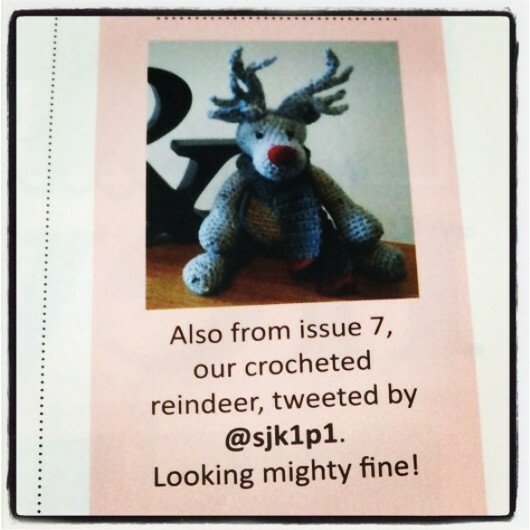 Back again for more news of my crafty adventures I see. Well, I bring tidings of great crochet joy, for I have indeed completed my Valentine hearts bunting, so here it is: ta dah! 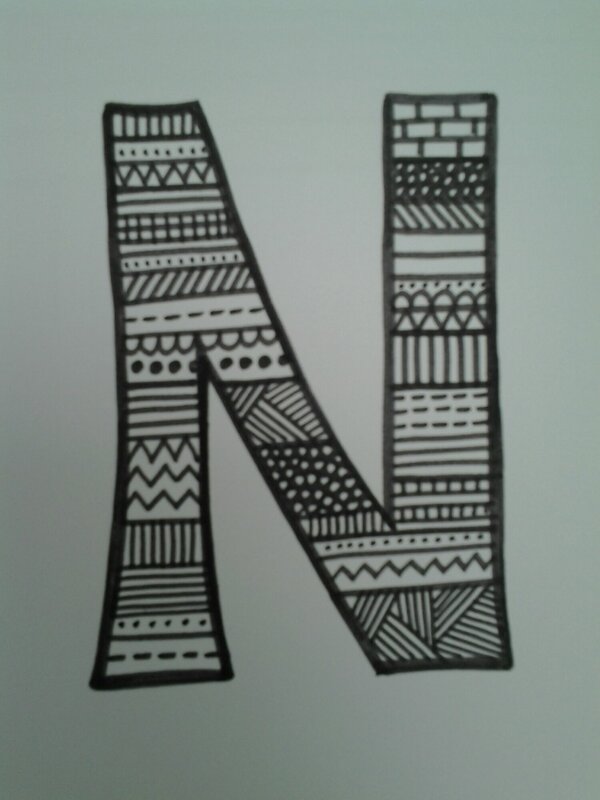 Turned out quite lush, did it not? It measures over three metres in length and shall be strung across my lounge, bringing a warm, toasty, loved-up glow to the room. Yes, feel the love people! 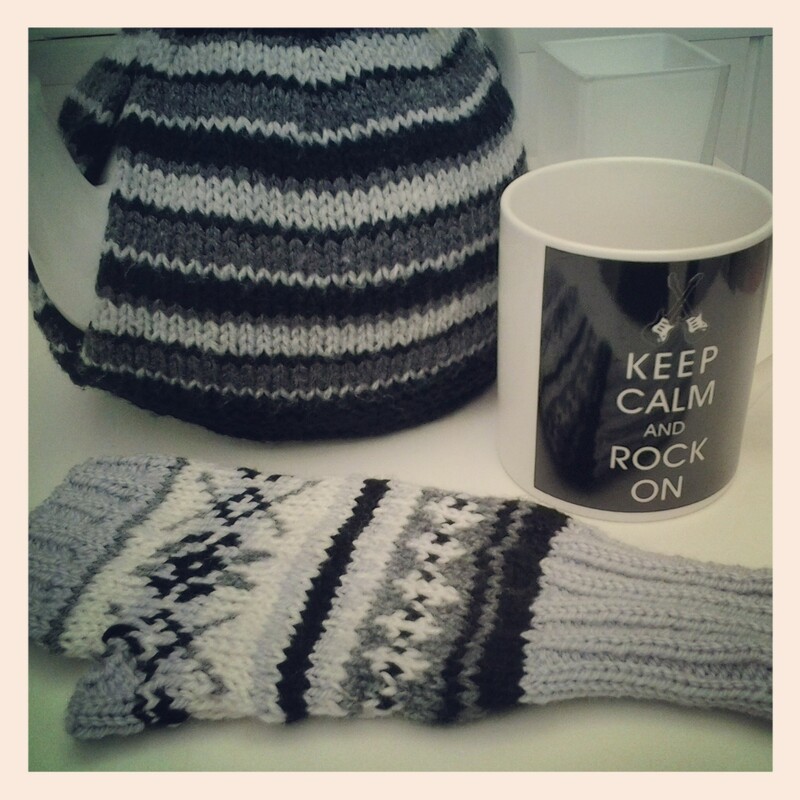 Row1: knit 1, purl 1, knit 1, purl 1, to end of row. 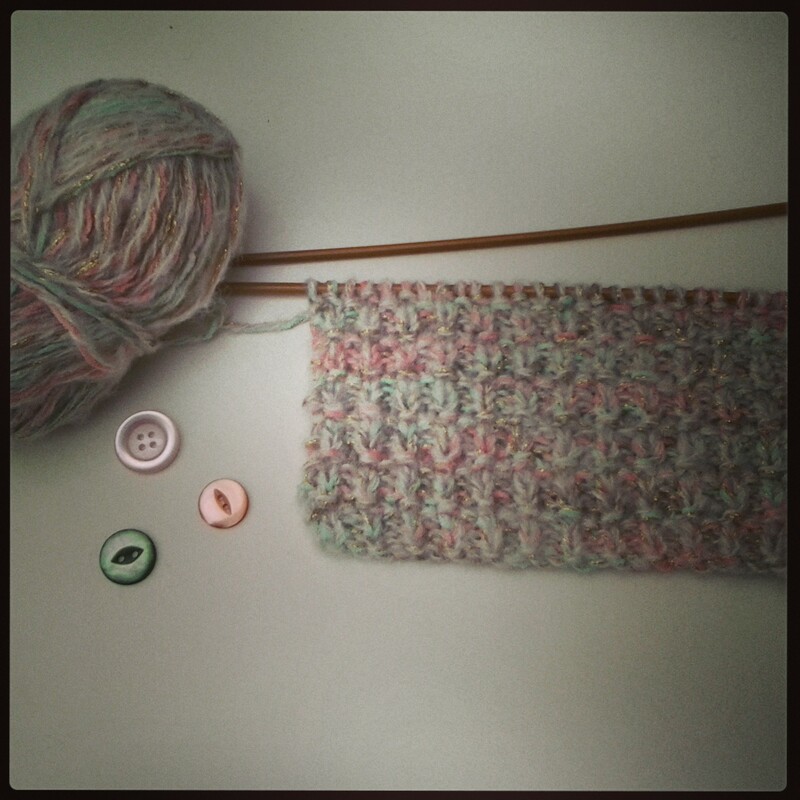 Row 4: purl 1, knit 1, purl 1, knit 1, to end of row. Don’t you just love learning a new stitch? Plus it’s from another country too, so it’s a bit like having a little cultural adventure! (No, you’re right, I don’t get out much.) 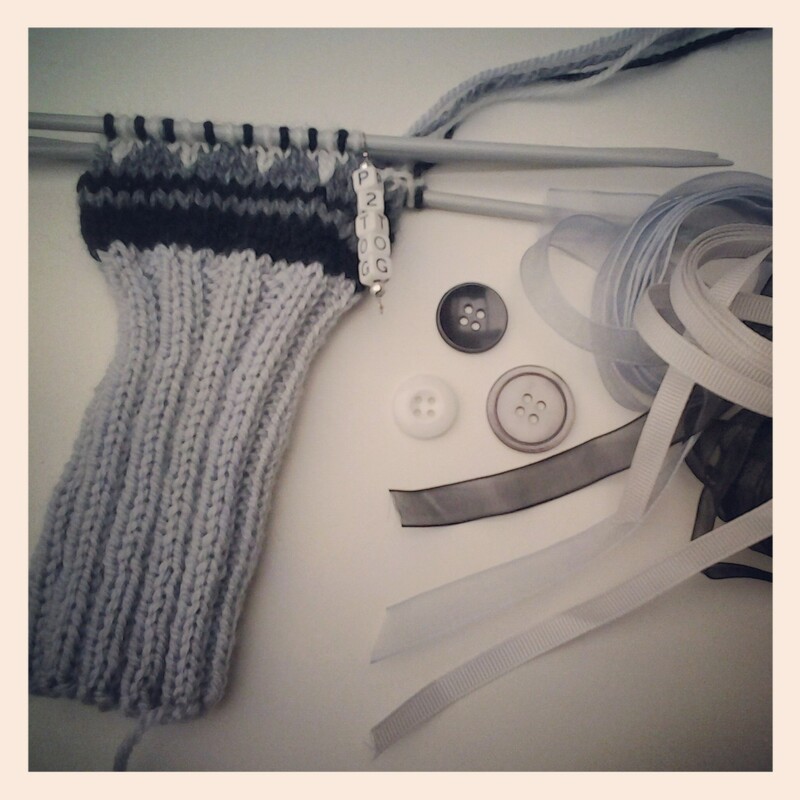 So here’s a little pre-snood shot of my latest work-in-progress, or should I say snood-in-process? 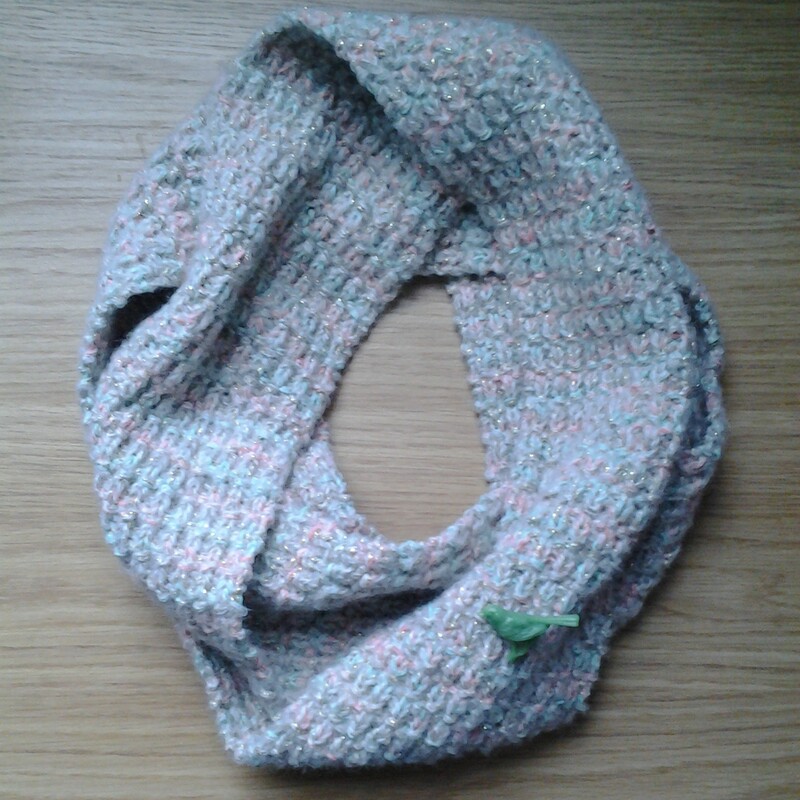 Oooh, I forgot to mention that the snood (still love saying that word) yarn has little metallic threads of gold in it! I just love watching it sparkle under the lights in the evening; sparkly things always make me smile! 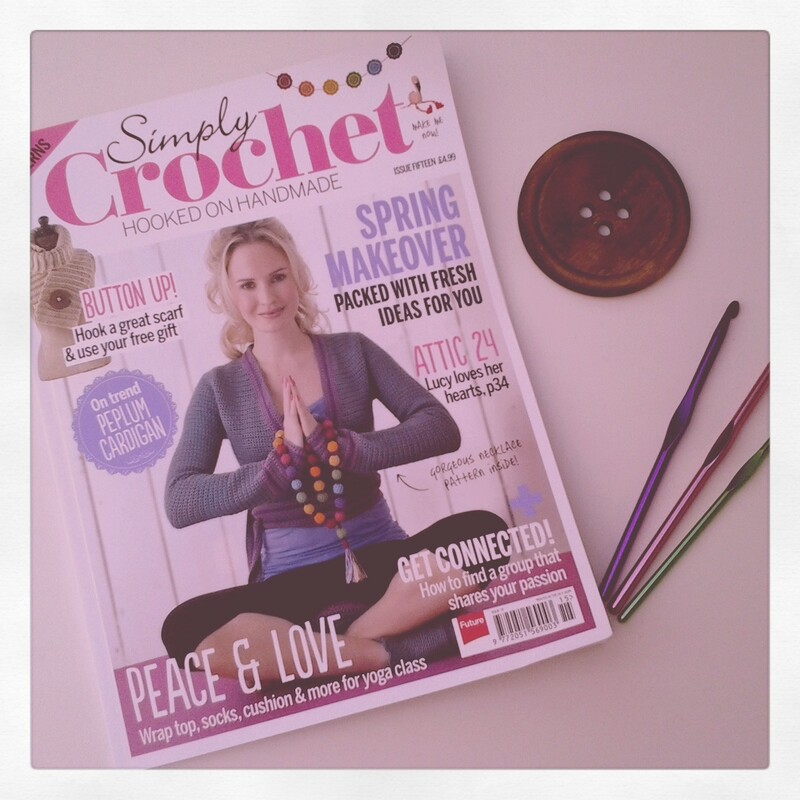 I also bought the latest issue of Simply Crochet magazine at the weekend and can’t wait to start on the fab flamingo! My hook is poised for flouncy flamingo frippery! 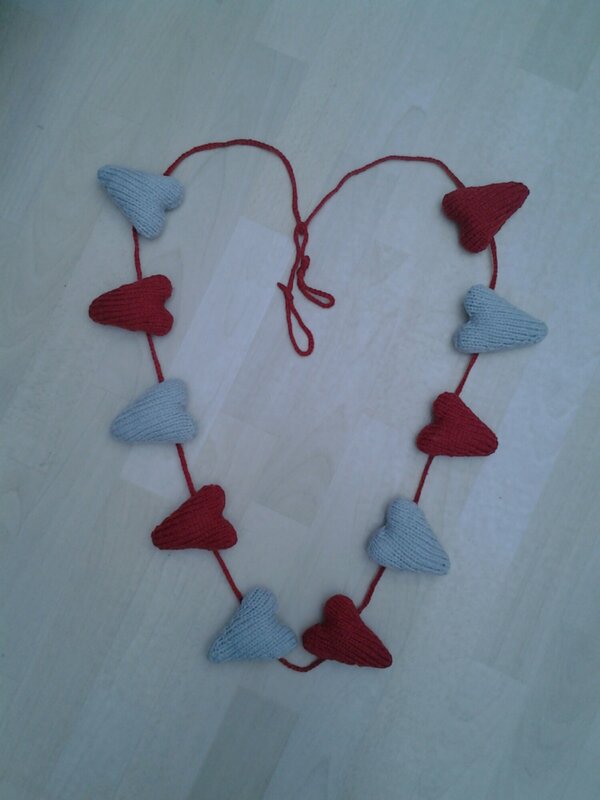 This entry was posted in Crafts, Crochet, Knitting and tagged bunting, crafts, crochet, hearts, knitting on February 10, 2014 by sarahjaneireland. They will be bunting-ising my stairs later, so my house is gradually becoming more and more Valentinised as the projects progress. 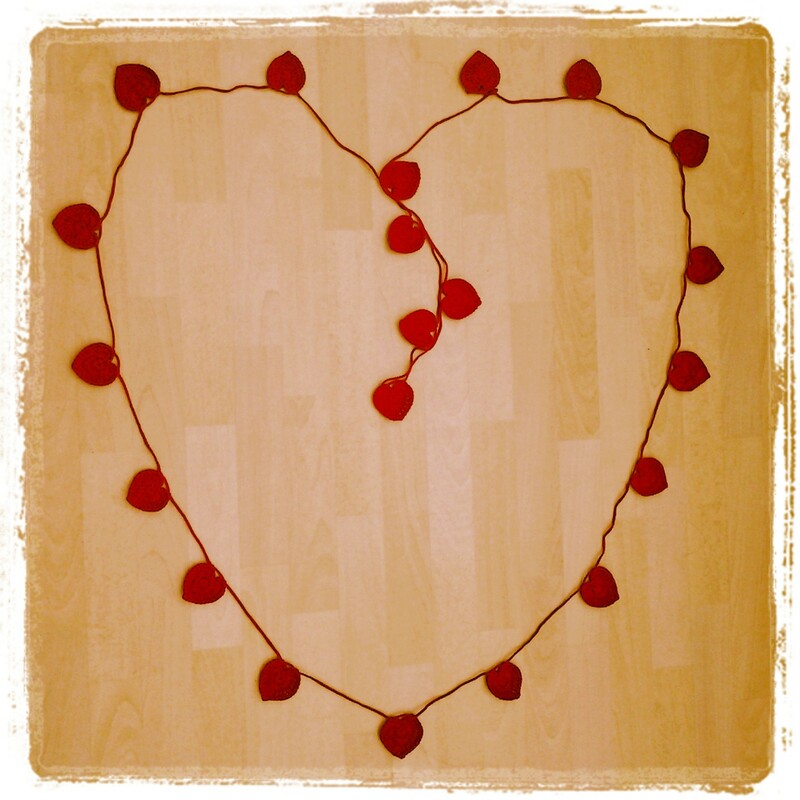 Yes, we are really starting to feel the love in our house and once I’ve completed the red crochet heart bunting I’m working on, we will be well and truly loved-up here! 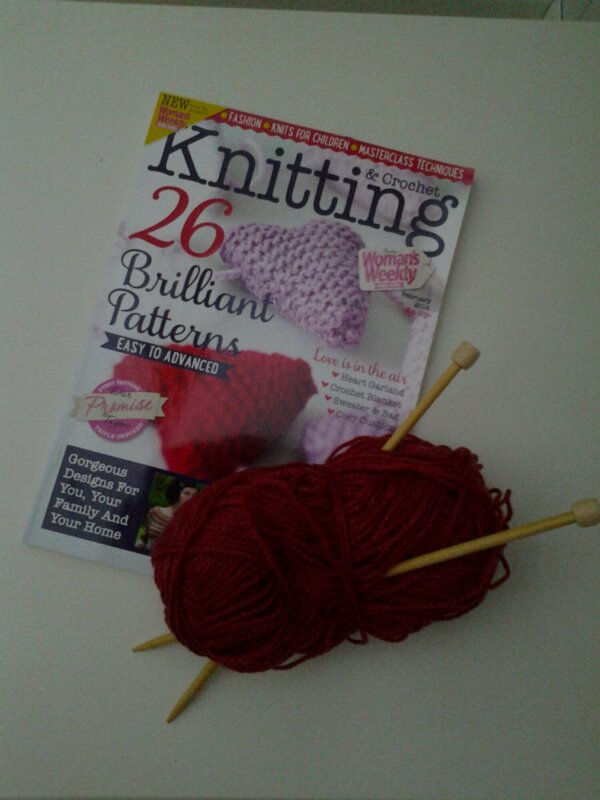 If you are interested in knitting your own heart bunting, I found the pattern in the new Woman’s Weekly Knitting & Crochet magazine http://womansweekly.co.uk/knittingclub which also has some other rather lovely patterns in it. I have to confess, I am a bit addicted to craft magazines and can often be spotted having a good old browse-a-thon in my local newsagents! 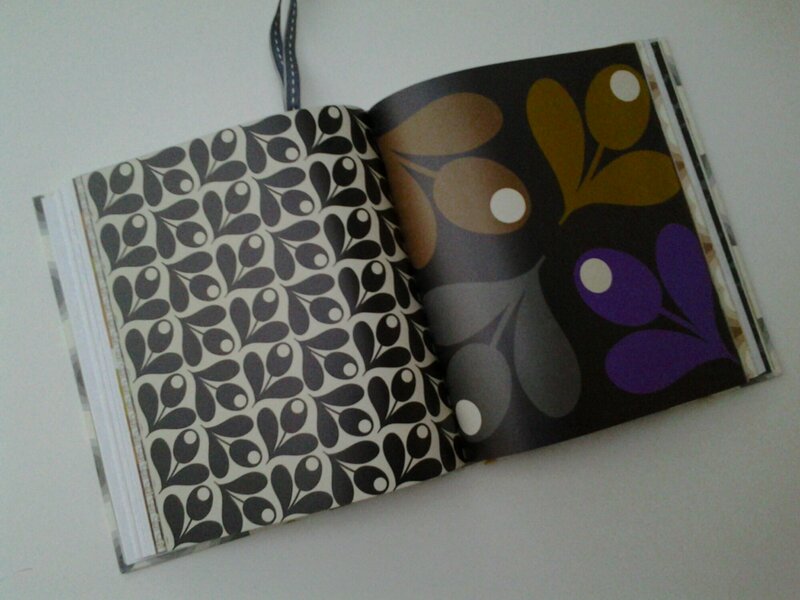 I also love arty-crafty books and am reading a rather fab one at the moment: ‘Pattern’ by Orla Kiely. 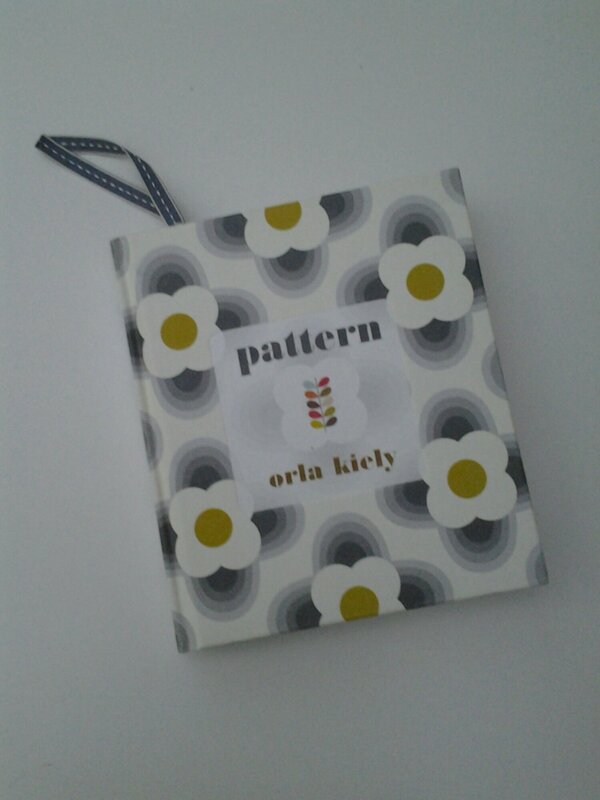 It’s a great insight into the inspiration behind the brand name, as well as being jam-packed full of eye-candyish colour plates of all of Orla Kiely’s patterns! 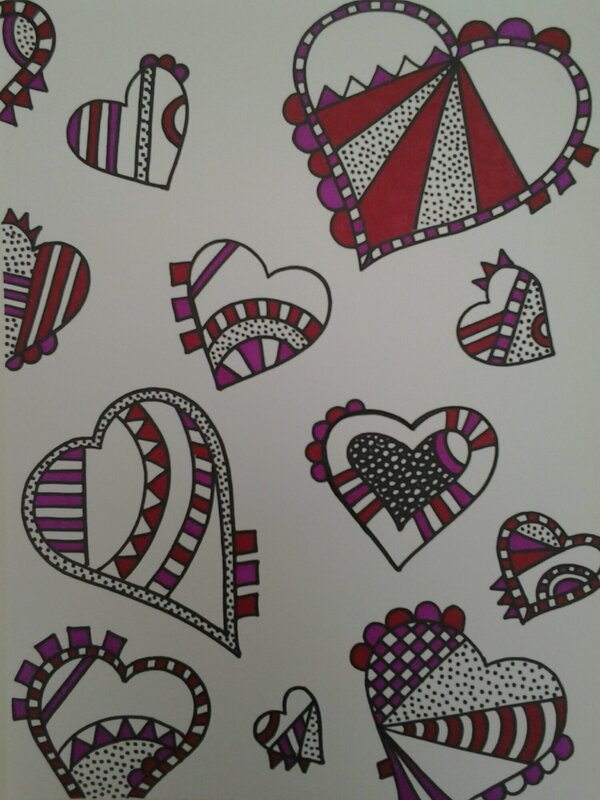 Yes it’s pattern-tastic dear reader chum! 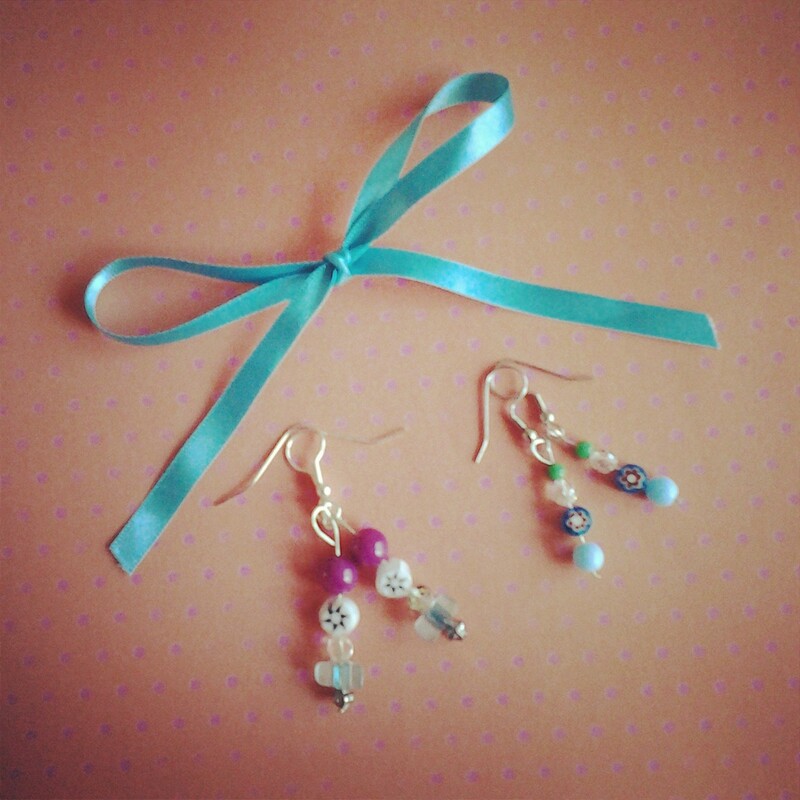 So that’s it for today dear reader friend, as I’ve just realised I’m late for #handmadehour on Twitter. If you don’t know what that phenomena is, it’s where lovely crafty-minded people tweet their handmade heavenlies to a whole host of other crafty tweeters, every Wednesday for an hour, starting at 7:30pm. 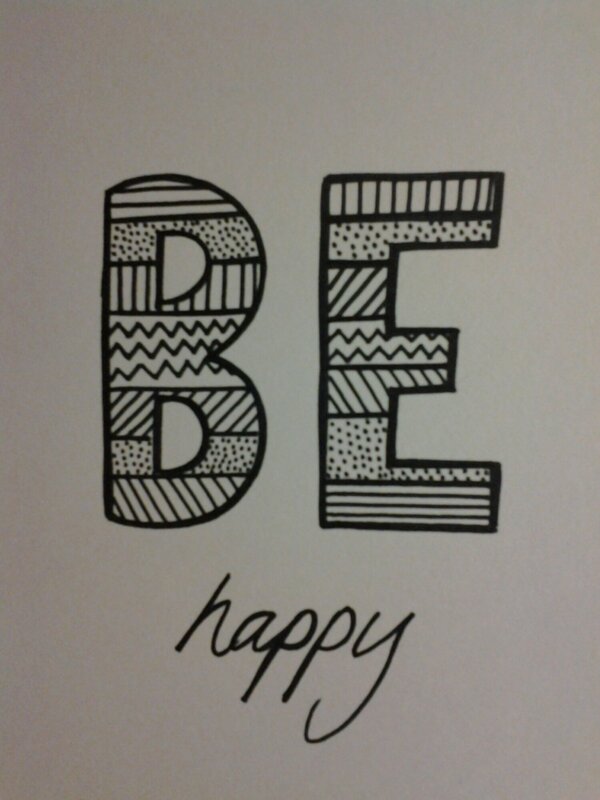 All you have to do is search for #handmadehour and join in the fun! Be aware however, it does turn in to a rather frantic and frenzied fiesta! 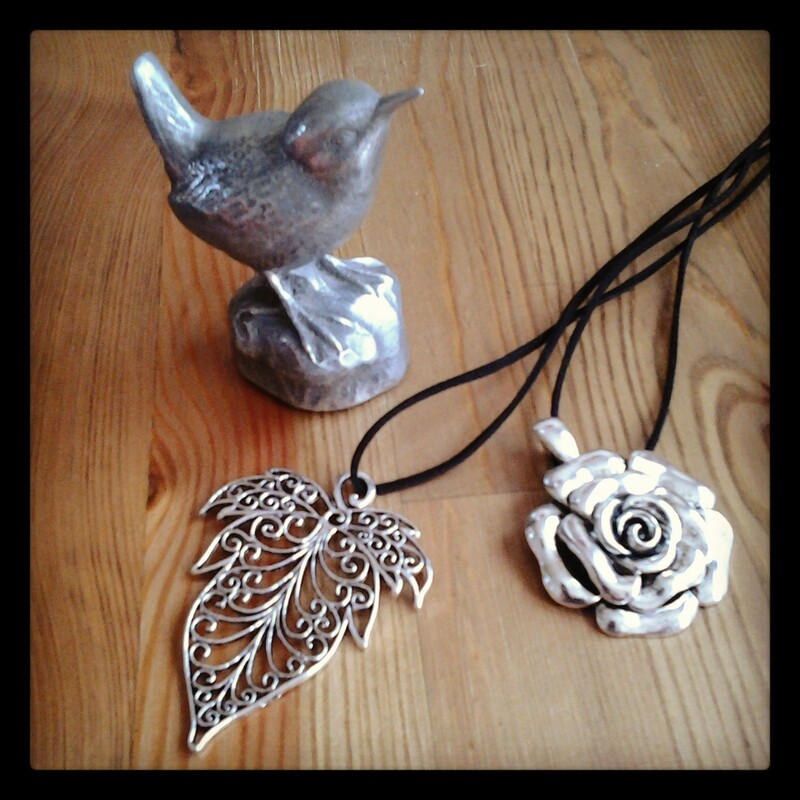 I’m off then for my hot date with #handmadehour! 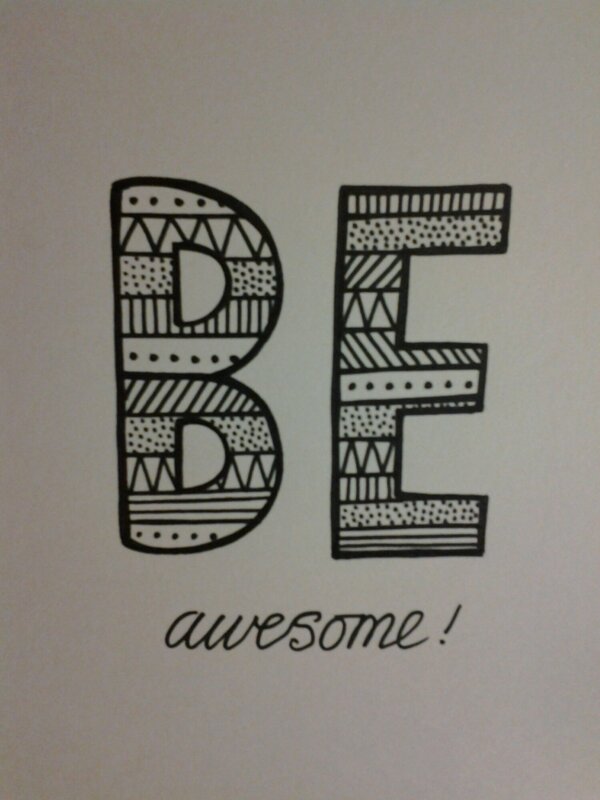 Bring on your crafts tweeters! 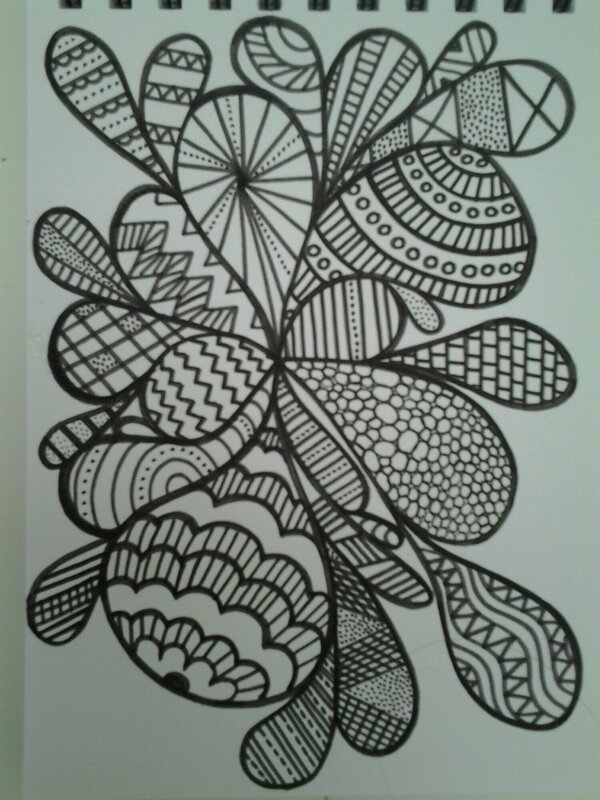 This entry was posted in Coloured Ink Art, Crafts, Crochet, Doodles, Ink Art, Knitting and tagged art, crochet, doodle, knitting, pattern on February 5, 2014 by sarahjaneireland. 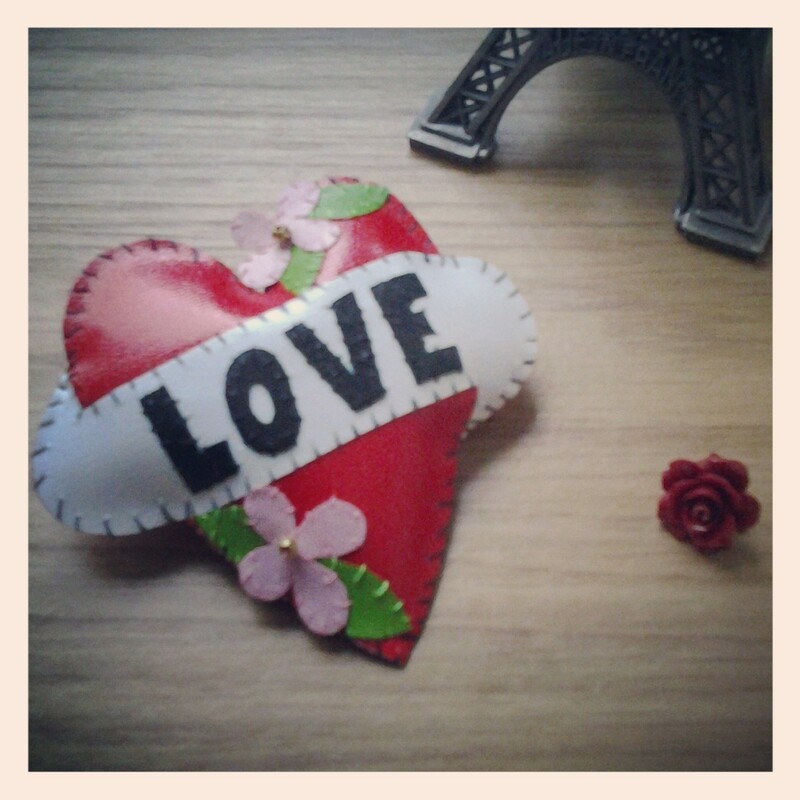 Fame for My Fab Foxy Felt Brooches in Mollie Makes! Good day to you dear reader, back for more I see! 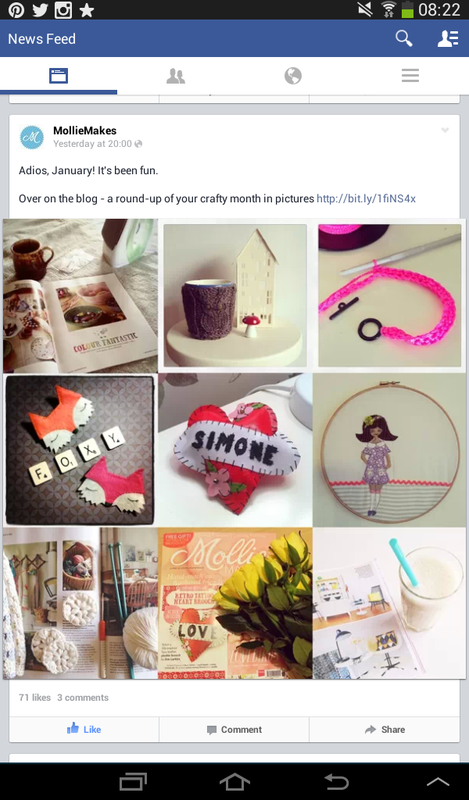 Well this time I have some exciting news to share with you: the lovely Mollie Makes magazine ( http://www.molliemakes.com ) only went and included me on their Facebook post for their January craft round-up! Yes I know, truely astounding isn’t it? I do hope the shock hasn’t caused you to nearly spill your cuppa as it did me when it popped up on my Facebook page. It was such a delight to spot my foxy felt brooches in all their glory. Thanking you Mollie Makes. 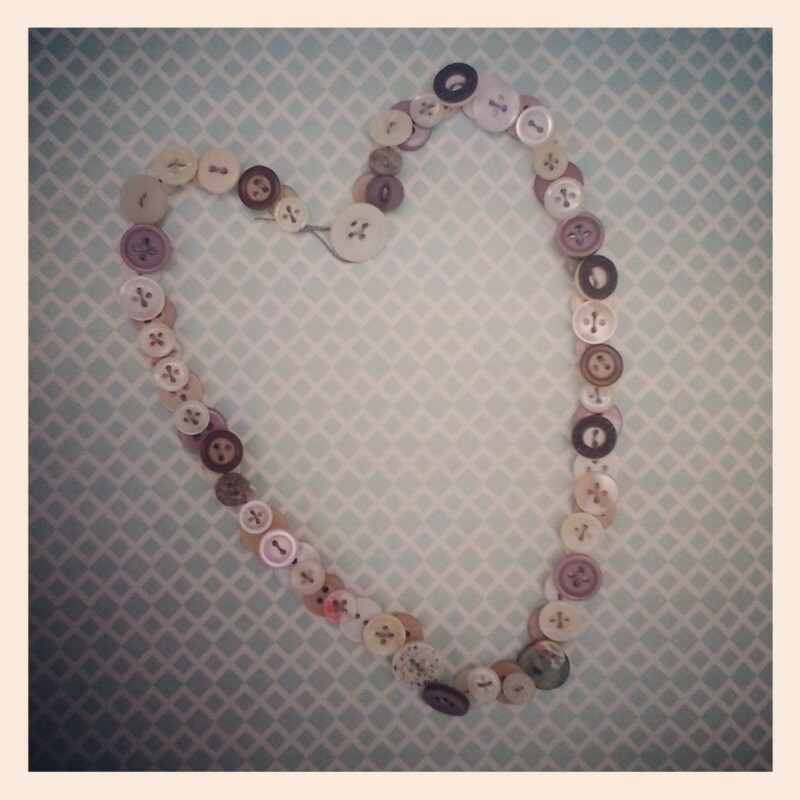 This entry was posted in Sewing and tagged Mollie Makes, sewing on February 4, 2014 by sarahjaneireland.